You guys know what this book is about, right? A teenager nicknamed Pudge goes to boarding school and becomes infatuated with a girl named Alaska. 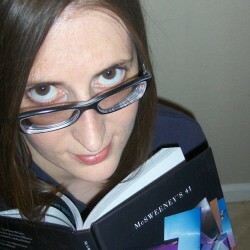 Pretty much everyone I know has read and reviewed this book. I’m not sure what to say about it that hasn’t already been said. Excessive use of interabangs. This is possibly the most useless punctuation mark in the English language. Why does it exist? High school pranks. Seriously, pranks were stupid and juvenile when I was in high school. As an adult, I don’t care to read about them. Obnoxious characters. Alaska . . . just . . . ug. I do not like her. At all. Not even a little. Believability issues. That final prank could have been foiled by a Google search. I think the prank should have been slightly harder for the characters to accomplish. Predictability. 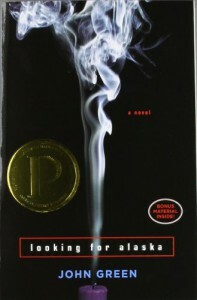 The first time I read this book, it was obvious to me where Alaska went at the end. I don’t know why it took the characters so long to figure it out.